Sadie is an older gal who still has some pep in her step! She was been transformed from a shy dog with her tail between her legs to a happy tail wagging dog who excited to greet me every time I come home. She loves everyone. Her previous owners must have spent some time training her because she is house broken, knows several commands, and walks (her favorite thing) great on a leash - almost heeling. 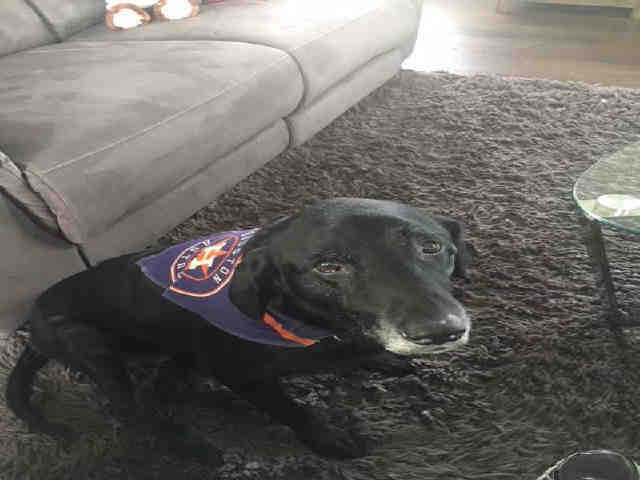 She is currently undergoing heartworm treatment To meet Sadie, Email us at BARCFoster@houstontx.gov!